9 September 2009 sees The Beatles' studio back catalogue re-released in remastered mono and stereo form across two CD box sets: The Beatles In Mono, and The Beatles Box Set: Remastered In Stereo. In the first of a two-part review (read part two here) we look in detail at the new mono and stereo versions of The Beatles recorded output from 1963's Please Please Me to 1966's Revolver. How do the first four albums - available on CD in stereo for the first time - sound? Are Apple/Parlophone right to make the new mono versions available only as part of a limited edition box set? Should fans who already own these albums buy them again? Are these the best-sounding Beatles releases to date? When The Beatles began their recording career with Parlophone, four-track recording facilities at EMI Studios - later renamed Abbey Road - were reserved for orchestral and easy listening music. It seems incredible today, but beat groups were recorded on a twin-track tape machine with instruments sent to one track and vocals another. Mono and stereophonic mixes could be made at a later date. However, for most of the '60s only the most well-heeled music fans could afford expensive stereo equipment, and up until Let It Be and Abbey Road, mono mixes were given priority. The Beatles themselves would rarely attend George Martin's stereo mix sessions. Put simply, mono was king. Often referred to as the product of a single day's recording, 10 of Please Please Me's 14 tracks were committed to tape in just 9 hours 45 minutes at Abbey Road on 11 February 1963. For the LP's release on 22 March these tracks were augmented by the four songs recorded previously for the first two Beatles singles; Love Me Do, PS I Love You, Please Please Me and Ask Me Why. Love Me Do and PS I Love You famously feature sessioneer Andy White on drums, with Ringo Starr relegated to tambourine and maracas respectively. Although it is rarely afforded the same level of acclaim and significance as their later long players, for this writer, Please Please Me has always been a thing of alien beauty. Lennon's voice in particular - remarkably singing through a heavy cold on the day - underpinned by McCartney's ambitious, mobile bass lines and that truly wonderful snare drum sound, is still astonishing. In its mono incarnation, Please Please Me is soulful and exhilarating and of the eight original McCartney/Lennon compositions - as they were credited initially - and the six covers, to our ears there are only three non-essential songs here. Merseybeat standard Chains and Ringo-sung Shirelles-cover and live favourite Boys feel like side one filler, while Paul's reading of the schmaltzy A Taste Of Honey kills the momentum on an otherwise near-perfect second side. However, from a technological perspective, it is interesting to note A Taste Of Honey's significance for being the first Beatles recording to feature a double-tracked vocal as opposed to John and Paul singing in unison or harmony. Charmingly referred to in Tony Barrow's original sleeve notes as a "trick duet", two twin-track tape machines were used simultaneously to allow McCartney to duplicate his lead vocal. Double-tracked vocals and later automatic/artificial double tracking would become a feature of Beatles recordings, but here it is for the first time. With the new mono disc delivering few surprises - other than a slightly longer fade on Baby It's You - we approach the stereo edition with a little trepidation. New sleeve notes acknowledge that the recordings made on two-track were designed to provide an effective balance between instruments and vocals when creating the masters and that the stereo mix provides the "unusual experience of hearing all the voices on the right side with all the instruments coming from the left." "Countless rehearsals and performances and a super-size helping of talent oiled the gears of a thrilling pop machine." Some songs fare better than others in stereo, but overall immediacy and punch is lost, largely as a result of the bass being pushed hard into the left channel. Meanwhile the additional reverb applied to a stereo mix as standard in 1963 is distracting, particularly when listening on headphones. That's not to say that listening to these stereo mixes is without reward. The increased separation brings hitherto buried instrumental subtleties and quirks to the forefront. Please Please Me (the song) - with all but the harmonica part assembled from a different combination of takes to the mono version - sees Lennon sing the wrong lyric in the final verse and there's even a slight chuckle perceptible in his delivery of the subsequent "come on". As the original 1962 tapes of Love Me Do and PS I Love You were discarded, those songs are present in their mono incarnations on the stereo CD and here, slap bang in the middle of the running order their dynamism only serves to highlight the shortcomings of stereo mixes derived from twin-track recordings. The stereo version of Baby It's You has an even more elongated fade but as the LP enters the home straight, it's impossible not to feel huge admiration for this group of musicians. Countless rehearsals and performances and a super-size helping of talent oiled the gears of a thrilling pop machine. Like their debut, With The Beatles - released on 22 November 1963 - not only showcases Lennon and McCartney's own increasingly ambitious compositions, but also their incredible ability to stamp their authority over other people's to the extent that The Beatles' version became the definitive. The Marvelettes' Please Mister Postman and The Miracles' You Really Got A Hold On Me are both bettered here with Lennon contributing spine-tingling vocal performances to both. "The need for more tracks was particularly apparent during the recording of Money. Overdubbing using twin-track machines was achieved by copying the first recording to another tape while at the same time adding more instruments or vocals. Money required this process to be repeated yet again onto a third tape." Perhaps the sheer weight of parts is the reason that Money - the album's closing salvo - is the first track in which we hear the new stereo masters exceed their mono counterparts. Previously mired in a dense mono mix, the fantastically raunchy guitar riff that mirrors the piano intro snarls through the left channel. With those two-track machines literally hitting saturation point, not for the last time The Beatles had reached a "we're gonna need a bigger boat" moment. It was pivotal that before With The Beatles was completed, the band would record both sides of the I Want To Hold Your Hand single on a four-track tape machine. From here on in, there would be no going back to two-track. Two discs in then, and mono wins for sheer visceral thrills and impact and overall sound. It's interesting to hear the extra separation and detail in the stereo versions, but in a direct A/B test, out of 28 songs, we only prefer one - Money - in its stereo incarnation. In some cases - most notably Little Child on With The Beatles - the stereo versions are so hollow they are tough to listen to on headphones compared to their mono counterparts. While the newly remastered stereo CDs will become the most readily-available versions of the albums in record shops across the globe, to really hear the splendour of the first two Beatles albums, there's no substitute for the mono versions. For the time being at least, they remain ghettoised in a limited edition box set. By the time they began recording A Hard Day's Night - released on 10 July 1964 - The Beatles were using four-track tape machines, and it translates into a much more satisfying stereo experience. The unmistakeable clang of the title track's opening chord - heard anew in beautiful clarity on the stereo disc - announces the arrival of George's 12-string Rickenbacker 360/12 not only in The Beatles' sonic palette but also in the musical vocabulary of the '60s. There are inconsistencies between the 1964 mono and stereo mixes that remain - such as the 'broken' harmonica intro on I Should Have Known Better, John's voice double-tracked on the If I Fell intro, Paul's missed harmony on the second "in vain" in the same song - but there's no doubt that the extra width added by recording on two additional tracks makes for a lush stereo spread. The acoustic guitars in particular sound wonderful on the stereo disc - the rich low end on the last phrase of George's nylon-string solo in And I Love Her, the strummed chords on I'll Be Back, all heard here in more detail than ever before. Shortly before 1964 turned into 1965, Beatles For Sale was released. Hitting the shelves on 4 December 1964, their fourth studio LP is regarded as a backward step by some, returning to a mixture of cover versions and originals after the completely self-penned A Hard Day's Night. However, the second half of 1964 had seen John, Paul, George and Ringo put in more work than most modern bands manage in three or four years. Was the strain beginning to show? The predominantly Lennon-penned opening trio of No Reply, I'm A Loser and Baby's In Black is often cited as indicative of his introspective, downbeat songwriting beginning to subvert the public perception of the band as chirpy mop-topped caricatures. However, on Beatles For Sale, some of McCartney's songs are equally troubled: What You're Doing and I'll Follow The Sun both feature protagonists scarred by the relationships they are leaving behind. 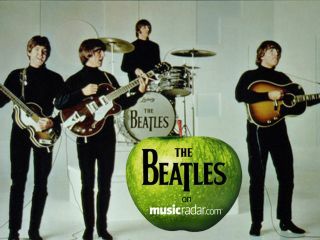 "(The song) evolved through two sessions on 6 October, 1964. During the afternoon, the group experimented with different ideas until they were finally happy with the arrangement on take six. "The first part of the evening was spent perfecting the instrumental backing and vocals recorded on tracks one and two until they decided take thirteen was the best. Using this take as the master, overdubs of handclaps, timpani and guitar were made on track three and the remaining track was used for double-tracked vocals. The closing guitar coda was added on another day and the distinctive fade-in was created when the song was mixed." Another song with a protracted birth was the aforementioned What You're Doing. Despite being one of the least famous songs in The Beatles catalogue, it's extremely interesting as it references the past while simultaneously blazing a trail for the folk rock movement. After a drum intro that's pure Spector - the instrumentation even drops out again towards the end of the song in a direct lift from The Ronettes' Be My Baby - Harrison's 12-string Rickenbacker enters with a riff that's more than a little reminiscent of the one that Roger McGuinn would play on The Byrds' Mr Tambourine Man when it was recorded just weeks after Beatles For Sale's release. Also thrown into the mix for good measure is George Martin's barroom-style piano counterpoint to the guitar solo that adds considerable harmonic interest. On the newly remastered stereo disc, What You're Doing is a real triumph. Aside from Rock And Roll Music, which is so much more muscular and raucous in mono, like A Hard Day's Night, Beatles For Sale's more ambitious and varied textures are well-served by the extra spread of stereo. "The difference in clarity and separation between the sixties and new stereo versions is marked." Just as the sessions for Money in July 1963 saw the band push the boundaries of twin-track recording, by 13 April 1965, four tracks were no longer sufficient to capture their arrangements. Recording the title track of Help! required four full tracks to be bounced down to another tape in order for Harrison to overdub an additional guitar part. Although this was the only song on the album where a bounce was required, it would become commonplace in their recording processes until summer 1968 when eight-track machines were made available to the band. Help! and Rubber Soul are exceptions in the new stereo box set as the new masters are derived from George Martin's digital stereo master tapes made for the albums' first CD release in 1987. As a result, the original sixties stereo mixes are packaged with the mono versions of both albums in The Beatles In Mono box set. Using the three versions of Ticket To Ride as a direct comparison, the difference in clarity and separation between the sixties and new stereo versions is marked. The new stereo mix has much improved separation allowing the droning single-string A notes - almost certainly played on the bridge pickup of John's new sonic blue Fender Stratocaster - underpinning George's 12-string riff in the verse the space to really ring out. In addition, the bottom end of the mix is much more powerful. Switching to the mono disc, what is lost in separation is gained in sheer balls and power, allowing you to hear exactly why Lennon would later refer to Ticket To Ride as "the first heavy metal record." That said, it seems unlikely that anything other than the new stereo version of Help! will be most listeners' first port of call from now on. It's a truly spectacular record that sounds better than ever here, and the first in a series of stone cold classic albums that sees The Beatles rivalled in the rock canon only by The Rolling Stones' Beggars Banquet/Let It Bleed/Sticky Fingers/Exile On Main Street sequence. Released on 3 December 1965 only four months after Help!, Rubber Soul showcases a funkier Beatles with a much expanded sonic vocabulary. And like Help!, the presence of the '60s stereo versions in the mono box set serves mainly to highlight the superiority of the new stereo masters. As soon as the vocals enter five seconds into Drive My Car - sympathetically pushed towards the centre from their hard right position in the 1965 stereo image - we're sold. Not all the lead vocals are centred in this way, but in each case the tracks seem to have been given just the right treatments whether you are listening on headphones or on a home hi-fi. Engineers Guy Massey and Steve Rooke have done a great job with the stereo mixes George Martin created in 1986, and curiously, Rubber Soul in this new incarnation is arguably the most timeless and vital-sounding of all The Beatles' long players. Whereas the mono Please Please Me is the hard-punching essential purchase and the stereo version a mere curio, Rubber Soul in mono is grainy and swamped. The new stereo disc gives the arrangements the space they need to bloom, exceeding the '60s mono and stereo mixes and the 1987 compact disc. On 5 August 1966, The Beatles released Revolver. The eight months since Rubber Soul was the biggest gap between Beatles LPs to date, but in the interim period, the band had crafted a masterpiece. The variations between the original stereo and mono mixes of what arguably constitutes the finest pop album of all time would take an article longer than this to explore in full. Indeed, this is further complicated by the release of slightly different mixes of several of the Revolver songs on Yesterday… And Today, the 1966 US release with the infamous "butcher" sleeve. How does Revolver sound on the new mono and stereo? Unlike Rubber Soul, it's something of a mixed bag. Taxman has much more punch in mono, and the stark hard-panned separation of rhythm section left and vocals right on the stereo disc makes us wish that the stereo image had been given the same treatment that revitalised Drive My Car. Eleanor Rigby is another case in point. 1999's Yellow Submarine Songtrack album featured a beautifully-remixed and remastered stereo version of the song that saw Paul's lead vocal moved into the centre of the stereo picture, positioning it perfectly within the string octet and backing harmonies. Here, they've reverted to the 1966 stereo mix. This means that you can hear the ADT drop out clumsily in the middle of the first 'Eleanor' as the lead vocal moves into the right channel alone, then re-centre during the word 'all' in "all the lonely people". It's far from seamless, and frankly infuriating on headphones. Of course, anyone contemplating purchasing either or both of these box sets is likely to own the superior Yellow Submarine Songtrack version already. We just don't understand why the decision has been made to revert to an inferior stereo document here; surely the object of these box sets should have been to compile all of the best possible mixes in one place and leave fans with the last word? "In some cases, better stereo mixes exist elsewhere already, and in others, the mono versions simply have more impact." Yellow Submarine (the song) also suffers on the new stereo Revolver disc: a better stereo remix was released a decade ago. That said, it's far from being all bad. This is still Revolver we're talking about here after all. Predictably, on the new stereo disc, Tomorrow Never Knows is majestic. Should you buy The Beatles In Mono, and The Beatles Box Set: Remastered In Stereo? If you are a completist, absolutely. Just don't expect the stereo box to be the last word. In some cases, better stereo mixes exist elsewhere already, and in others, the mono versions simply have more impact. Compiling that definitive Beatles iPod playlist has just become even more complicated than it was before… and until such a time as you can purchase the mono albums outside of the box set, whether digitally or on CD, it will remain an expensive exercise. Read part two here. From Sgt. Pepper to their bitter break-up, we put the rest of The Beatles' newly-remastered catalogue under the microscope.